Building on Dissertation Reviews’ extensive experience with reviews of recently defended dissertations, Curator is a new project offering analysis of significant emerging ideas and methods in the Humanities and Social Sciences. We seek proposals from recent PhDs and junior scholars to form a cohort of 5-9 curators who will each write a future-state-of-the-field essay that offers a forecast of an emerging trend in scholarship. Think for a moment about your own field. What new ideas and directions are taking form? What will your field look like four years from now? As a curator, you might analyze how non-human actors are forcing historians to rethink the past. How did prehistoric humans adapt to climate change and how might that knowledge help us in the present? We invite you to think creatively in ways that reveal emerging patterns and possibilities. Proposals on developments within established disciplines or fields as well as those that cross disciplinary boundaries and regions of the globe are welcome. The curator’s essay is written in four parts over the year and will range from 25-40 pages in total. In addition to the essay, you will be asked to identify 6-10 dissertations or other works for review that exemplify your chosen topic. You will nominate reviewers who, in addition to writing their reviews, will offer constructive feedback on drafts of your essay. Along with your editor, the reviewers form part of a support network to assist you in the research and writing process. We hope to create spaces where ideas can be voiced, debated and refined, while building lasting collegial relationships. 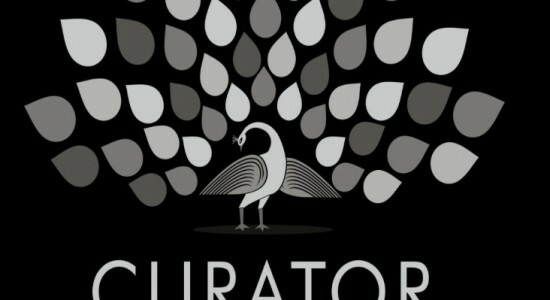 Your essay and commissioned reviews will be published on curator.reviews and syndicated on dissertationreviews.org, which has an average of 1,000 visitors per day and more than a million readers worldwide. Work with the editors to create a bibliography of scholarship that exemplifies the new development, method or innovation. Use the bibliography to select 6-10 items for review and to make a list of names and contact information for the relevant authors and potential reviewers. The curator’s essay will be published in four parts over the season between September and May. The first section is an introduction to the problem and its potential challenge to existing knowledge. The second section offers a survey of recent scholarship and works in progress on the problem. The third section offers a synthesis of the works being reviewed that highlights their interconnections, shared ideas and important differences. Finally, the fourth section will detail the potential future directions and legacies of this research. As work on the essay progresses, section drafts will be shared with the curator’s selected reviewers for feedback and discussion. This is a mentoring process meant to foster dialogue, generate ideas and to promote connections between the essay and reviews. The curators will also have opportunities to discuss their work with one another as a cohort. A working title for the project. A one-page description (500 words) of the conceptual, methodological or technological innovation that you want to investigate. This might be a new word that you have noticed in conversations, the use of innovative new tools or new ways of forming questions and identifying problems. We encourage you to take risks and to challenge your intellect and creativity. We hope to provide a space to think about scholarship that remains unformed, in-process and uncertain. Your proposal is a hypothesis, a hunch that forces are in motion and ideas are being formed. the names of people to review them. All proposals submitted by April 4, 2016 will be considered. We will send invitations to selected curators by April 15th and work on the project will begin shortly thereafter.